More Energy During Workouts – Increasing your glycogen store before a workout can help improve your energy levels significantly. An intense workout can be very difficult to handle if you have a low carb diet, this is because glycogen stores are low. Protect Your Muscle – When you workout hard and with heavy weights, the body is in a catabolic environment, this can break down muscle tissue and use it as energy. 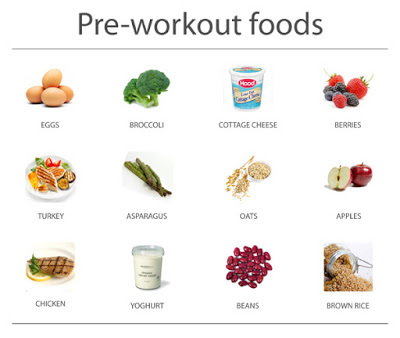 So by eating a pre-workout meal, you can reduce muscle breakdown due to the nutrients consumed. Increase Muscle Growth – Eating protein during your workout meal slowly releases amino acids into your blood stream, this promotes protein synthesis. By breaking down muscle and consuming enough calories, muscle growth is improved. If you are on a lean fat loss program, be sure to adjust the calories in your pre-workout meal. 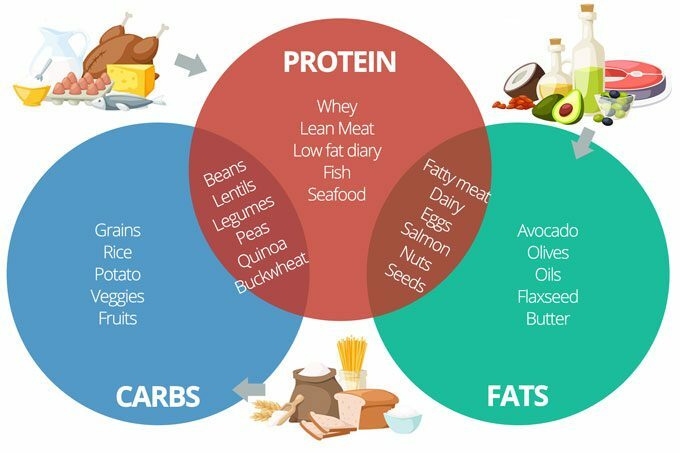 Whether you are trying to lose fat or building muscle, acknowledging the calorie implications of your pre and post-workout meals can be very helpful. To produce the best pre-workout meal for you, understanding the speed of digestion for different foods determine the meal time. Dietary fat takes 6-8 hours to digest. Carbs 2-3 hours (depending on the source). Digestion is the time taken for food to move from the stomach to the intestines. Total elimination of food can take anywhere from 24 hours to several days. Your meal does not have to be fully digested to have a great, energy filled workout. Dietary Fat – Fat takes the longest to digest, so your pre-workout meal should be relatively low in fat. 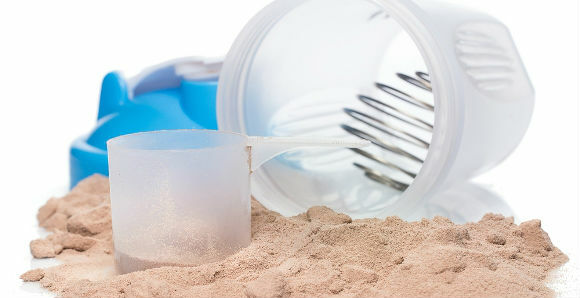 Protein – Pre workout meals containing protein provide us with a major benefit- the prevention of muscle catabolism. By consuming a good source of protein before a workout you can give your body the amino acids- branched chain amino acids in particular, that it needs to prevent muscle breakdown, whilst aiding muscle recovery and growth. Carbohydrates – There are tow types of carbohydrates simple, high GI carbohydrates and complex, low GI carbohydrates… but which one is best pre workout?This ultimately depends on your goal and the time of your pre workout meal. Simple carbohydrates are great for 30 minutes to an hour before a workout as they provide the body with fast acting glucose as fuel. 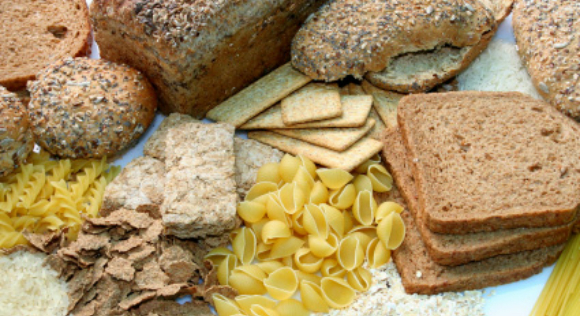 However, complex carbohydrates also play a role within your energy metabolism. By consuming low GI carbohydrates around 2-3 hours before a workout, you can give your body a slow releasing source of energy. This means you’ll be able to work out for longer and less likely to crash and burn in the middle of your training. You need to know how much food you can eat pre-workout. This is calculated on your bodies own response. A meal around 500-600 calories for a 180lb man, 2-3 hours before a workout is great during a fat loss program. If you are an intense athlete, more carbs should be included. For building muscle, a larger pre-workout meal combined with a pre-workout protein shake is advised. Oatmeal with Whey Protein Mixed In. Turkey Wrap with veg (add carbs as needed). Drink plenty of water! A good 16+ ounces will help you optimise performance. If it’s been longer than 3 hours since your last meal, consider adding a pre-workout snack, such as fruit, some yogurt, or a pre-workout protein shake. For those who don’t have time for a pre-workout meal or snack, a simple energy sports drink with 5 grams of BCAA can improve energy levels and protect against catabolism. 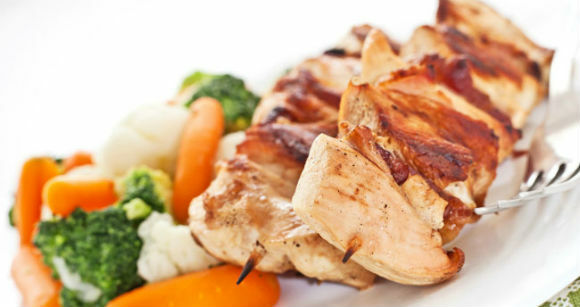 The stereotypical healthy meal chicken, rice, and vegetables are actually a classic pre-workout meal! Through combining a good source of lean protein, and complex carbohydrates this meal can provide amino acids to promote muscle anabolism and a slow releasing source of energy. Consume a meal like this around 2-3 hours before a workout. Dried fruit is high in sugar and high in calories- when it comes to dieting dried fruit is generally avoided, however, this food is great to be consumed in measured amounts pre workout to give a quick source of simple sugar. 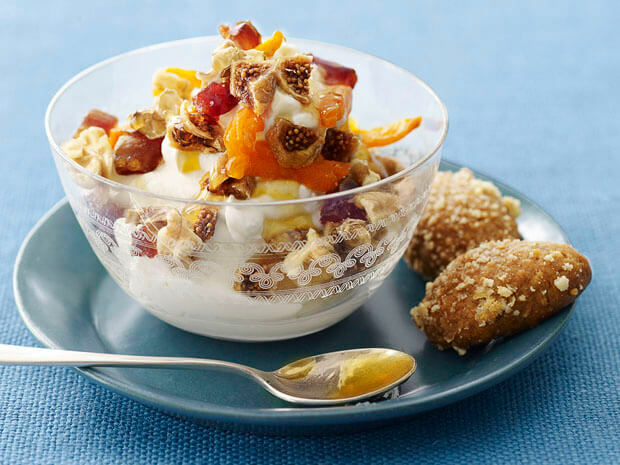 Consuming dried fruit with Greek yogurt can also provide the body with a source of protein to help optimise your workout. Consume a meal like this 1-1.5 hours before a workout. Porridge and oatmeal are the ultimate pre workout breakfast! This pre workout food contains complex carbohydrates and is also a great source of the soluble fibre Beta glucan. By consuming oats around 2 hours before a workout, you’ll be able to satisfy your hunger throughout your workouts, whilst getting a great source of slow releasing energy. 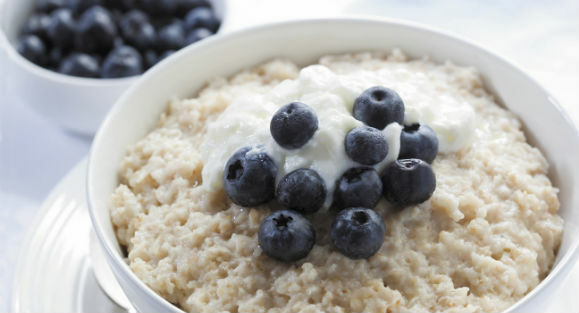 Try adding a scoop of protein powder to your porridge! That way you’ll also get a great source of protein and muscle protecting amino acids. 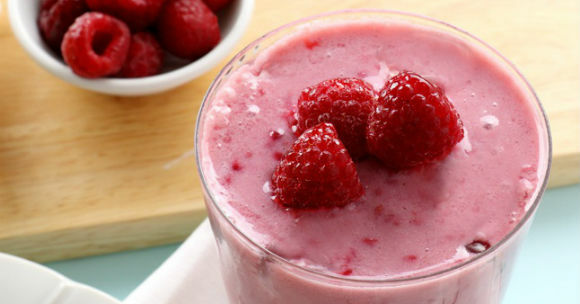 Many people think fruit smoothies are great tasting and super healthy. Whilst smoothies do provide a series of micronutrients that are beneficial for health and well-being, they are also full of sugars including fructose. This means that smoothies are often high in calories and what are often mistaken as drinks are actually meal replacements! However, consuming a fruit smoothie pre workout is a great pre workout meal option that can provide you with a good source of fast acting glucose. Consume a meal like this 30 minutes before a workout. Wholegrain Bread, sweet potato, and brown rice are great sources of complex carbohydrates that should be consumed around 2-3 hours pre workout. Combining these foods with a good source of protein means you’ll get a good source of slow releasing energy to fuel you throughout a whole workout. Carbohydrates should be consumed by all those physically active, but in particular, those who carry out regular endurance activities such as cycling and running should concentrate more on their carbohydrate consumptions. Omelettes made using whole eggs and egg whites are a great source of muscle building protein and amino acids. 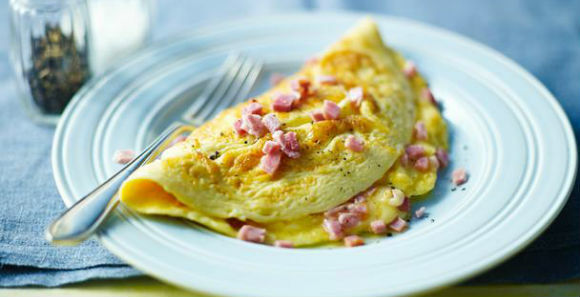 Omelettes should be consumed 2-3 hours before a workout to avoid muscle catabolism and promote muscle growth. Last but not least- protein shakes! If you’re on the go and in a hurry or none of the above appeal to you, a quick protein shake can solve your pre-workout problems. By consuming a shake with a good source of fast releasing protein, such as whey protein, with simple carbohydrates like maltodextrin powder you can get all the pre-workout nutrients you need in a matter of minutes. Home Workout Routine to Burn 1000 Calories In An Hour ! Best 6 Ways to Build New Muscle !